The entrance to this Beverly Hills party was truly stunning. 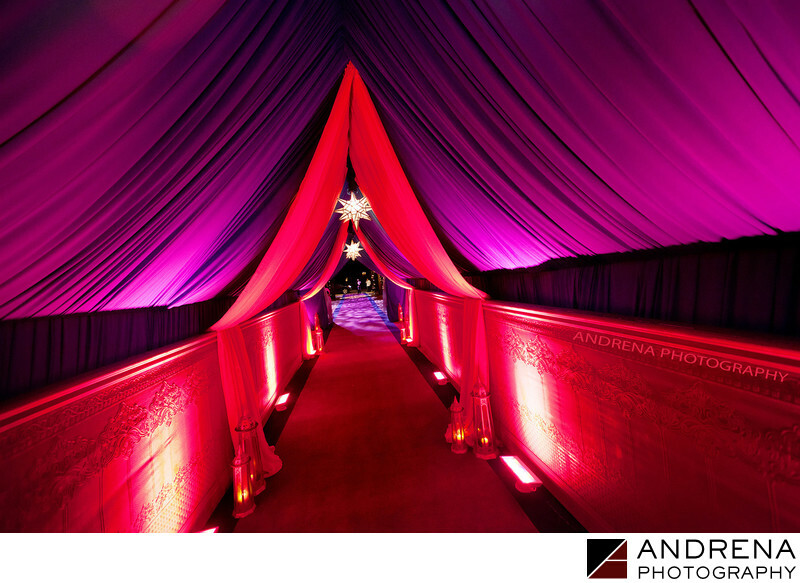 The draping changed colors from red to blue to purple, and the walls lining the bottom half of the tunnel were purple wood with gold embossing. Guests delighted to walk through such a beautiful entrance to this stunning event.